If you are implementing a CRM system, then, as much as possible, I would recommend that in the first instance you don't use "code" - or limit it as much as possible anyway. I know I have written about this before (Learn what your software can do before customising and changing), but it is such a useful, fundamental thing to remember, and there are so many more charities now considering and implementing CRM systems, that I wanted to re-iterate it again here. To clarify: one can configure a new database, which is clearly essential and highly beneficial, but this means using existing tools and functions in the system which, for the most part, can be managed by just the software's "front-end" interface (i.e. drag-and-drop, using the standard GUI and the like). Indeed, some CRM systems can do this and still provide very sophisticated functionality and capabilities. But as soon as you start writing code, "customising", bespoking a system, then that is what I would recommend you try to stay clear of, at least when you are first implementing a new database. Why? Because customising takes longer, is more complex, needs more work, raises the risk factor, it will cost more, requires more specialist expertise, will be harder to change later, will be harder to maintain later, you may change things you will later learn you didn't need to change and so on. Of course, there are good reasons for when customisation can bring benefits, such as automation, simplicity to end-users and integration, but I would always challenge exactly why this is planned in any instance. Just what are the benefits/time-savings/efficiencies? Can it really not be done another way, at least in the first instance? You can always do the customisation later if you later decide it really is worth it. And if such discussions mean that coding/customising is shown to be a beneficial thing then great, let's do it. 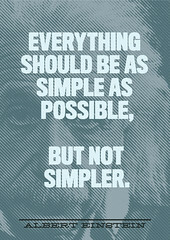 If not, keep it simple, configure the database, use a process and move on. Your project manager will thank me. And so will your FD.